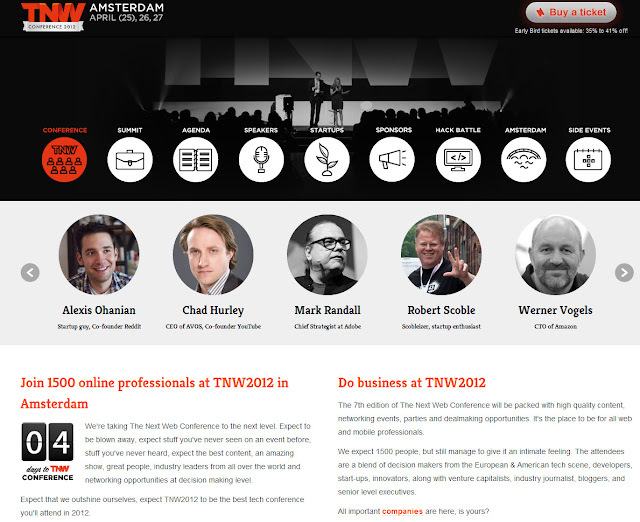 The next web conference is brilliant. Because it's a walk in and out conference with plenty of room for networking. No pretentious nonsense. I'm guessing 1800 people over the next two days. High number of very creative production start-ups - so I'm pleased. And after people like Mark Randall, strategist at Adobe have given an inspiring presentation on stage, you can find them at the speakers bar where they take time to answer questions. 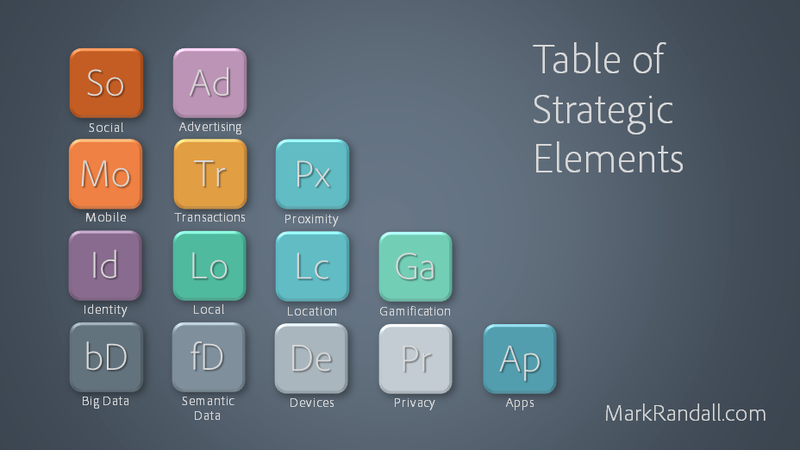 Like Mark's table of strategic elements - taking the periodic table to new heights. None of this hello, goodbye and thank you or making the speakers untouchable VIPs. Also amazed at the cinema screen in the blue room. And to think it's all happening in the former Amsterdam gas workers ( the main stage is in the gas holder). But they have done a terrific job to make the acoustics MUCH better than in the early days. Dr Mike McCluskey, Acting Director ABC International and Mr Memafu Kapera, MD, Papua New Guinea Broadcasting Corporation, a photo by commonwealthbroadcastingassociation on Flickr. Heard of body doubles and stuntment. But didn't realise that hands are often substituted. Extra work for extras. Philips was big in Eindhoven. That where the brothers Gerard and Anton Philips, together with their father Frederik founded a company to make carbon-filament light bulbs. And because they had patents on vacuum technology, moving into the business of making vacuum tubes or valves was a logical step. From precarious beginnings in 1891, the company expanded fast after the First World War. They turned a country town into an industrial city in the south of the Netherlands. 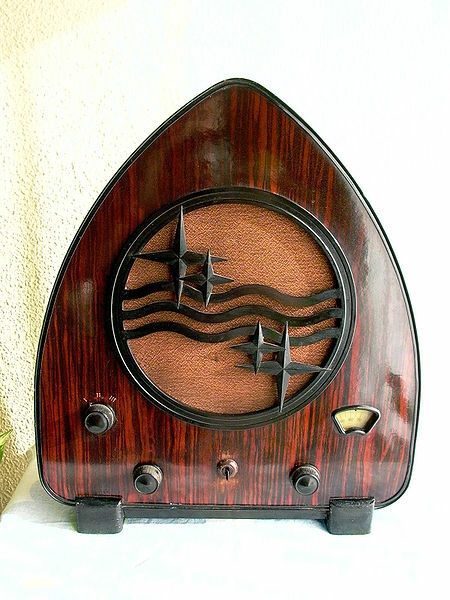 By the 1930's, Philips had built the largest radio factory in the world. But by the eighties, Philips had decided to sell up and leave Eindhoven. Production of TV's, light bulbs and radios had shifted East to Poland, Singapore and China. Labour costs were simply too high in the Netherlands. The HQ of the company moved to Amsterdam. That left a lot of empty buildings, many of them not far from the centre of town. It's only now that a new city springing up. The new owners are turning the old radio factory buildings into offices, designer ateliers, and rented accommodation. It's going to be tough with such a deep economic recession in the Netherlands. But it's clear that those behind it are in it with a long term vision - 25 to 30 years. And the demand for the loft-flats has already exceeded supply. They have made a "film strip" on the inside of the lift that takes you between floors. So as you ascend, you can see what the building used to look like and then step out into the new. Very clever. Currently the old clock tower warehouse across the plain is a huge concert venue, attracting bands and fans from the Netherlands but also neighbouring Germany and Belgium. I have to say that it's mainly heavy metal that fits well in this industrial venue. The three remaining "radio" factory buildings (one was demolished) are now being thoroughly renovated. The pipes outside the building (which used to carry steam) will remain, but all the windows are being replaced and gardens built on rooftops. Come back in 2 years and you won't recognise the place. I see that the old NatLab research buildings from Philips are also being restored. It is said that Einstein once gave talks there and that has been used to full effect. The partial quote is certainly from Einstein. Q Radio takes transmitter tower owners to court - But will they win? Flashback to July of last year when two unrelated fires in FM masts in the Netherlands seriously disrupted FM radio reception. On Tuesday, the Belgian-Dutch owners of the Q-Music network announced they are to take legal action against the owners of the mast infrastructire. In a press conference to explain their annual report, the Pergroep noted a reduction in turnover from 913 to 900 million Euro. 78 percent of that turnover comes from newspapers. The rest from radio, TV and web interests. Q-Music claims that they lost 1% in market share and the revenue from advertising revenue went down by 7.8 percent, both as a result of patchy FM reception for several months. Lopik only came back on full power a few weeks ago. It will be August before the FM mast in Smilde (Northern part of the Netherlands) is fully operational. Personally. I think it is going to be very difficult for them to prove a direction connection between reception on FM and loss of revenue. The station is also audible on cable and via streaming on the web and both these were unaffected. As another broadcast colleague points out. Sky Radio was as much affected as Q Music in the North of the Netherlands. Yet their market share in the same region around the Smilde tower has increased over the same period. I thought Leo Laporte's This week in tech had the best coverage by far of this past week's technology at the National Association of Broadcasters' Convention in Las Vegas. Here are my pick of the shows with what caught my eye. Phlip Nelson - Newtek - the Tricaster is really driving modern IPTV stations. TV station in a box. Jim Louderback Revision 3 - interesting comments on what works and doesn't. And then they made a show with all the bits they couldn't fit in. Charles Kelly -Nautel - great guy. Looking good. Wonder when it will be on the market? It's easy to complain. 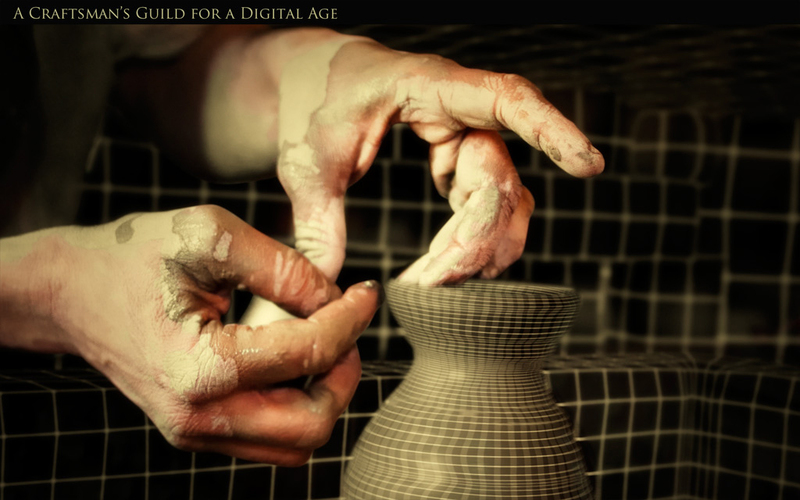 It's harder to build something worthwhile. 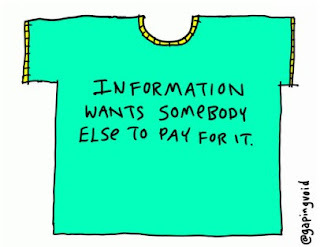 Which is why I am looking forward to The Next Web conference this coming week in Amsterdam West. It's managed to remain fresh since it started in 2006. I think it is because its a meeting of people who want to share great stories. It's not pretentious. Expect 1500 people over 2 days at the Westergasfabriek. Yet it remains an intimate gathering. As I have posted previously, this is not another conference. It has a buzz like no other entrepreneurs gathering I know in Europe. It is a cross between what Reboot (Copenhagen) and SxSW (Austin) were at the height of their success. If you're there, do say hello. Labels: #TNW2012, Amsterdfam, The Next Web, westergasfabriek. Why "Fill the Gap" won't reach Number 10. What's the point of this "debate" ? I think this year will see the end of a number of events because they have "jumped the shark", i.e. lost their way and become a waste of time and money. As far as Amsterdam based events go, events like the Postcode Green Challenge and Picnic need to draw their own conclusions, pack up and pop off. But the same applies to some NGO events. I'm afraid Fill the Gap now falls into that category. Organized jointly by HIVOS and IICD, this past Friday's annual "debate", Number 9, didn't make much sense from start to finish. I hope I have seen the last "Fill the Gap" which looked as though it was struggling to find something worthwhile to say, wallowing at the bottom of the hype cycle. Some people in the audience thought they were climbing out of it. I don't think we've even reached the bottom of the trough of disillusionment. Pity, because there were some very interesting people on stage and in the audience. So the networking "borrell" afterwards was really all that was needed. Those conversations confirmed my conclusion that many NGO's are so focused on their own survival during this Great Dutch Depression 2.0 that their campaigns with m-Health and ICT are all about pleasing the donors (i.e. Western Governments) and little about analysing real problems in developing countries. I'm afraid Friday confirmed that there are too many Dutch NGO's that fall into that category. Broken pencil stuff. Can't proceed because there's really no point. But like leaving the lights on a parked car, the problem will eventually solve itself. I'm far more impressed with Alex Lindsay's Pixelcorp. Because what he has found in creative production in the US, I believe is happening in other sectors, like news coverage. Just as IPTV is replacing a lot of traditional broadcast, so guilds and knowledge networks are the way forward in barren times. This extract from the Pixelcorp website rings true to my heart. 500 Years ago, craftsmen rarely worked for a “company.” They were contracted for a period of time and then moved on to the next contract. To remain competitive in such an atmosphere, many formed “guilds,” or organizations designed to provide networking, ongoing training, standards, certification, and even some social services among their members. Kings did not post jobs in the “classifieds” to find craftsmen, they contacted guilds who did not compel the employers to hire their members, but simply were the only ones who could produce the work that required a large number of workers that could self-organize. As the industrial age emerged, many of these guilds faded as machines replaced much of their work. For 100 years, workers “contracted” for much longer periods of time (we called this employment), often their entire career, to one employer who took care of things like development, health care, etc. Today, the current job market, especially in the film and TV arenas, has returned to “contract” labor and we are much more akin to “craftsmen” than to employees. Many of us work as subcontractors ... we work on a game, a film or a TV show for 6 months and then move on. Our ability to continue this cycle depends on our ability to network with others in our field and to continually learn in a rapidly-evolving industry that seems to transform itself every 6 months. Skills valuable today may be worthless next year. 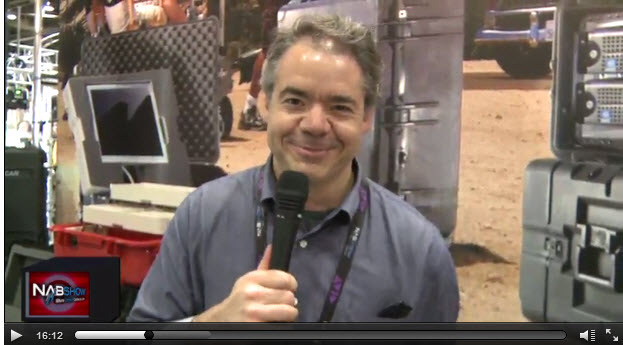 Alex Lindsay (below), together with Leo Laporte did an excellent job covering the NAB Convention this past week. They understand that people want a briefing from craftsmen, not jibberish from a PR agency. There has been a head-on collision to the West of Amsterdam Central Station. 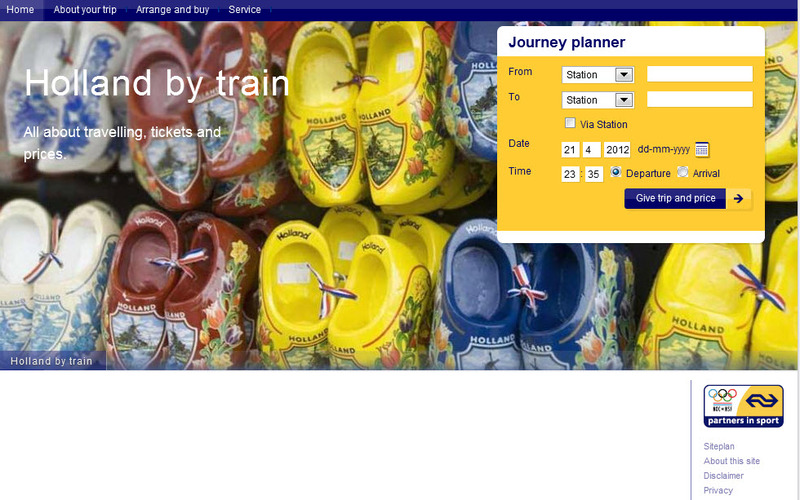 The Dutch website of NS tells you that trains travelling West have all been cancelled until at least 2 am Sunday morning. But the English language site is business as usual. 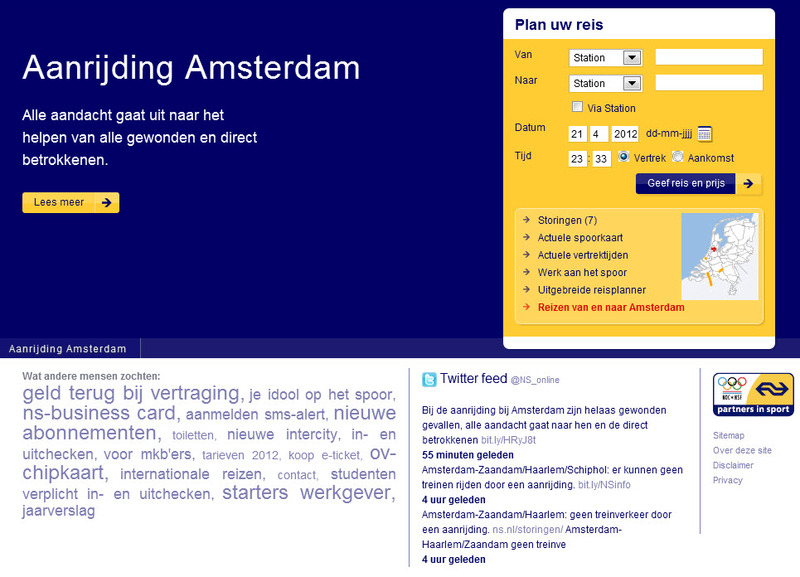 The failure by Dutch railways to communicate is truly awful at the moment. In fact there was a points failure west of Amsterdam last evening as I was travelling back from the same station. The message over the station tannoy in Dutch was clear. The fumbled translation in English said that due to a "switch failure" there were no trains to Schiphol. 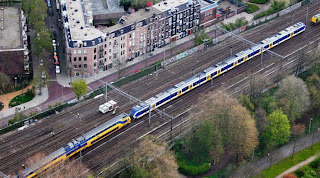 They should have said that "due to a points failure there were no direct trains to Schiphol. Take a local train to Duivendrecht and change to the lower platform for a direct train to Schiphol. Allow an extra 40 minutes for your journey." 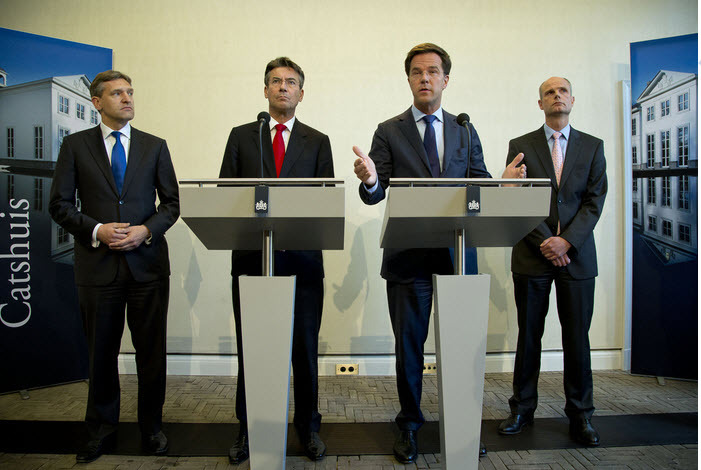 Major austerity talks between the three political parties VVD, CDA and PVV broke down this afternoon, with the PVV stepping out of the negotiations. 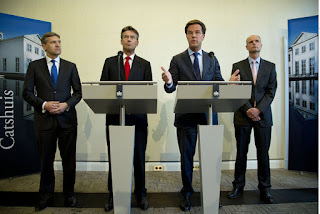 Effectively this means the Dutch government will fall and new elections will be called. In the course of Saturday afternoon, details emerged of exactly how the Dutch government was planning to save a further €14.2 billion off the annual budget. If it collapses, the non controversial plans will probably go through as planned. I'm guessing that means overseas development aid and further cuts to public service broadcasting will now go ahead. The VVD and PVV parties both believe that The Netherlands should reduce the money they set aside they current give in overseas development aid. In September 2010, the Dutch government announced its intention to reduce the budget for overseas development aid from 0.8 to 0.7% of the GNP. Effectively, this meant going from an annual budget €4.78 billion down to €4.6 billion, a saving of some €1.9 billion. Today, the documents from the failed austerity measures indicate that the other party in the minority cabinet, the CDA, had apparently agreed to a further reduction of €0.5 billion in 2013, rising to €0.75 billion in 2014 and 2015. CDA has been the lone voice defending Overseas Development Aid. It is unclear what this would mean to the proposed budget of €14 million for Radio Netherlands Worldwide, which is to be taken away from the Ministry of Culture and put under the Ministry of Foreign Affairs. If the budgets are simply adjusted downwards proportionally, then the best case would mean a further budget reduction to something like €11.8 million a year. But the surprise resignation of the Radio Netherlands Worldwide Editor-in-Chief Rik Rensen and his deputy on Friday, as well as news that the departing Director General could receive a golden handshake of up to €1 million have made the future of Radio Nederland Wereldomroep in any form a lot more uncertain. If the top management are bailing it, then it quickly starts looking like a Titanic scenario. "Abandon ship, everyone for themselves". If you want to disappear without a murmur of interest from the public, then resign on a Friday. Headlines last year said that Public broadcasting would have to save "200 million Euro". In fact, €73 million of that came by drastic reductions to Radio Netherlands, the orchestras, special funds and some overheads in the Media Authority. The other €127 million was shaved off the annual budget of domestic radio and TV channels (national and regional). Under today's plans, domestic public broadcasting would get a further hit. This year's budget was €792.5 million Euro. This would have gone down to €665 million for 2013. Today's documents reveal a further reduction of €25 million was proposed for 2013, and €50 million off the budget in 2014/2015. I believe that means domestic public broadcasting is heading towards an annual budget of €615 million. These cuts, together with expected reduced income from advertising which runs on public channels, means almost certainly the closure of a national public TV network, leaving two national TV channels and a national network with regionalised opt-outs. I'd expect severe cuts in radio too. What was merely a suggestion last year as a way of saving money now becomes a necessity. VAT rises from 6 to 7 percent (low tariff) and 21% instead of the present 19%. And student grants disappear - everything becomes student loans. I'm rather sure that The Netherlands will lose it's triple AAA status as result of a collapse in consumer confidence. Gaping Void hits the nail on the head. Join me in supporting Hugh. 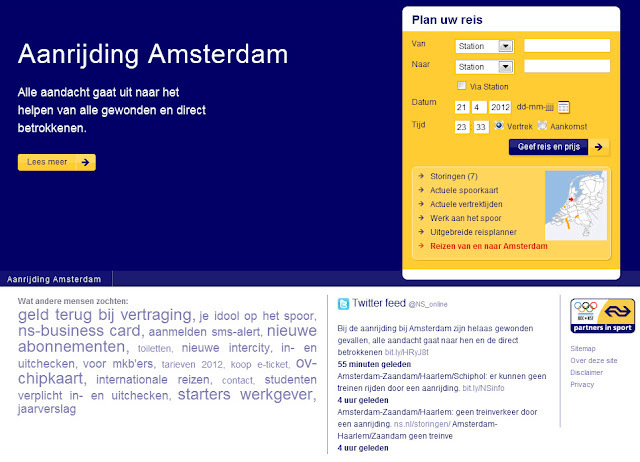 God help you if you have a problem with your "Oyster" RFID card on Dutch railways. Because you won't get much help from human beings. Bear with me or skip to the bottom for my conclusions. Somewhere between checking in at Hilversum station and being checked by a conductor on the train to Amsterdam (near Weesp), something happened to my NS travel card which made it unreadable on the little device they carry. First I am accused of not checking in. So I asked them to phone Hilversum station to check whether I had indeed checked in. And I had. That's where the smiles ended. At Schiphol Amsterdam station, I couldn't check out of the ticketing system. So I phoned the Customer Service number on the back of the card. I quickly realised that I should press the other option to avoid getting into a tree of automated answers which basically tell you to put the phone down and log-on to www.ns.nl. About two minutes later talked to someone who went through all the security checks possible and then told me she couldn't log me out of the system nor ask for a new card. "No, you will have to go to a counter at a manned railway station to get two forms. One to send the card back for a replacement, for which there is a charge. And you need to get a claim form because if you haven't logged out of the Dutch Railways system after 4 hours, then the system fines you 10 Euro extra". The customer service agent said she has access to my account but couldn't log me out even though I was trying to report a defective card. Hope you don't have a train to catch. Joined the long queue at Schiphol railway station. Waited for ages as someone was told off for paying with a foreign credit card that didn't have a chip in it. Finally, a free agent. Explained the problem again. The agent went off to look for a form in the cupboard. He didn't have the claim form and couldn't do anything more for me because he couldn't read the card. Next? 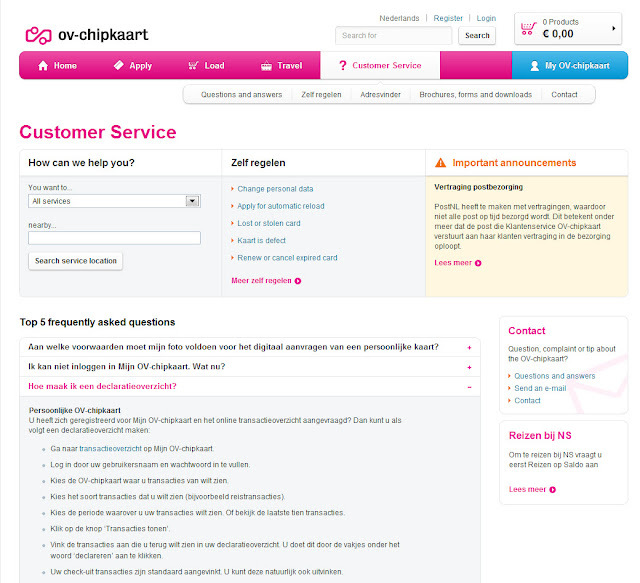 Went to the customer service pages on the Interwebs. Just for amusement, let's assume I don't understand Dutch. Well, then you're sunk because I think they've used Google Translate to translate about half the site - the rest is in Dutch. Oh, and there's a bit of cheery news in Dutch that the Post Office has delays at the moment so that might affect delivery of new cards. I find it a disgrace that NS customer service cannot do anything to check people out and order a replacement card with one phone call. My card is in the post - during which time I have no valid proof I have a subscription to NS at all. I'm told a replacement card will take two weeks, postal slowdown permitting. My conclusion is that NS is a public monopoly where NS stands for No Service. 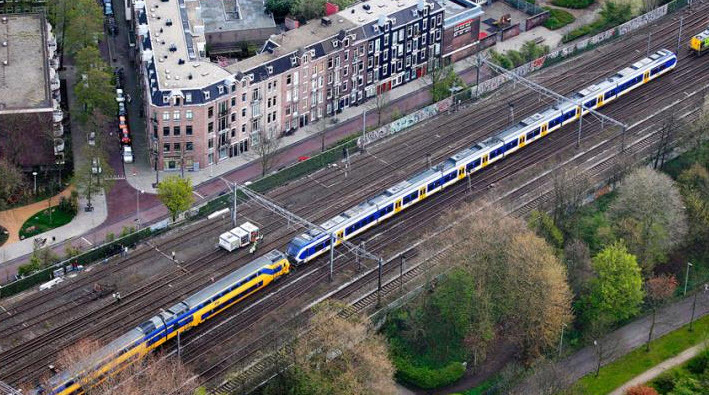 God help places where Dutch railways is winning contracts to run other railways in the UK. I hope UK consumer shows keep a close watch on the performance of Abellio. Sadly, the experience from the lowlands mother ship is simply awful! Hilversum station at 6 pm today. 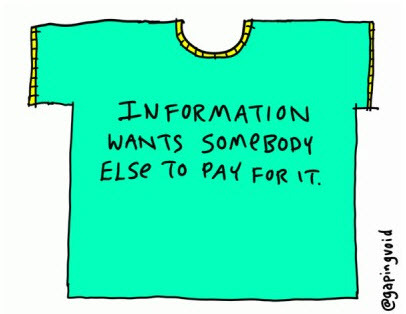 No-one in information, sorry. Will do an update when I get a new card - and perhaps some money back. Today, my late friend and colleague Pete Myers would have been 73 years old. Sadly he passed away on December 15th 1998, much too young to enjoy retirement. I've been sorting through a series of sound archives and I constantly keep bumping into his voice, and the rich contributions he made to programmes I produced. He was the host of great shows on the BBC African Service, being recruited in 1976 to revamp Radio Netherlands African service with a show called Afroscene. When I first came to Radio Netherlands Worldwide in 1980, he showed me the ropes, always advising his students to adapt what he was doing - never to copy. He later went on to start Mainstream Asia and Asiascan, as well as produce countless documentaries both on fact and fiction. There's an old unwritten rule in international broadcasting called the "rule of sixes". After 6 weeks off the air, the audience will start to forget you. After six years they may even deny you were ever on the air. I'm concerned that if you Google Pete's name today, you now only come up with an obituary in the UK Guardian, which reflects his early days at the Beeb, but very little of the Pete I was proud to know for 18 years at Radio Netherlands Worldwide. I note they got his birthdate and date of death wrong in the Guardian. In case of his birthday, that may have been Pete's fault. I remember his scrapbook of newspaper cuttings from his early days in broadcasting where he would make up all kinds of stuff to add to the hype around himself - born in Venezuela according to one article. I've uploaded the show we made as a tribute to Pete - it was more of a celebration of his genius, rather in the style of BBC Radio 4's Great Lives. It's a 47 minute tribute to a great man. I put the programme back on line as an MP3. You can find it here or in iTunes as a Media Network podcast. As many of my colleagues at BBC World Service are moving out of Bush House, I've been looking at the building from another angle. The back side. Why? Because it is frankly much more interesting. The BBC never owned Bush House. And they weren't the only tenants. Everyone knows the shot above from the Kingsway entrance. You may have also waited in the Centre Block reception for "someone to come down and get you". And it's only natural to look up and stare at the incredible ceiling. But I got fascinated with the other entrance on the South side. Look up and you see a ship sailing across the Atlantic. There are names of US Presidents on the left (Washington, Lincoln, Grant and Hamilton) and names of UK senior politicians on the right (Chatham, Burke, Canning and Bright). This has nothing to do with the BBC. It was put there by the owner of the building, the American businessman Irving T Bush. I didn't know that Bush has distant Dutch connections. Irving T. Bush's family name comes from Jan Bosch, a native of the Netherlands. He emigrated to New Amsterdam, later to become New York, in 1662. Irving also built Bush Terminal, which has since been renamed "Industry City. It is a historic shipping, warehousing, and manufacturing complex on the waterfront in the Greenwood Heights neighbourhood of Brooklyn, New York City. More photos on Flickr. Did Titanic send an SOS Message via Morse Code?